From the Falcons and Braves to Coca-Cola and Chick-fil-A, Atlanta is used to seeing red in advertisements across downtown. 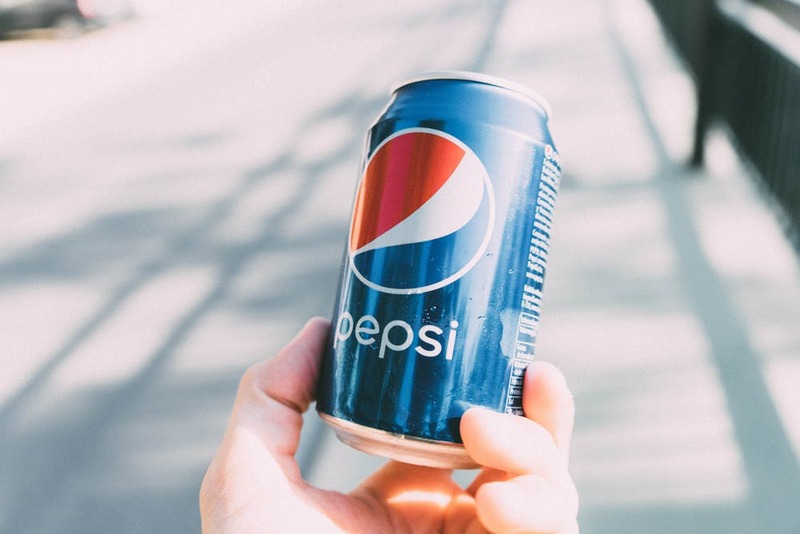 However, as the Super Bowl LIII inches closer and closer, Coca-Cola’s biggest rival PepsiCo is invading the city with its bright blue advertisements as an official sponsor of this year’s game. Throughout downtown Atlanta, Pepsi’s advertisements are popping up in prime locations, including areas just a stone’s throw away from Coca-Cola’s Headquarters and the World of Coke, with messaging including “Look Who’s in Town for Super Bowl LIII” and “Pepsi in Atlanta. How refreshing.” Currently, MARTA stations are full of Pepsi advertisements, and Centennial Olympic Park is surrounded by Pepsi billboards. A multiple-story Pepsi advertisement is up on the American Cancer Society’s building with Coca-Cola headquarters seen just beyond it, and trash cans and recycling bins just outside of the World of Coke are wrapped in Pepsi blue. Inside the Mercedes Benz Stadium on February 3rd as the Patriots and the Rams go head-to-head, bottled Coke will not be served to fans but will still be available as a fountain drink inside Super Bowl branded cups. Pepsi also plans to cover Coke’s existing branding inside the stadium with its own. Although there is no word on if Coca-Cola plans to run commercials during the Super Bowl LIII, the company is not just sitting back as Pepsi works its way into Atlanta. At the World of Coke, the company has added a football themed exhibit and is also offering “Game Day” drinks where visitors sample various Coke products. The Friday before the big game, the center is also hosting a public “Champions Chat” with three former NFL players. Without the Falcons or Coca-Cola in the Mercedes Benz Stadium during the Super Bowl, it won’t quite feel like an Atlanta event, but we are excited to see this marketing feud between cola’s two biggest rivals play out now that we are just days away from Super Bowl LIII.